Articles Speakers CornerWill you be sending Christmas cards this year? Will you be sending Christmas cards this year? 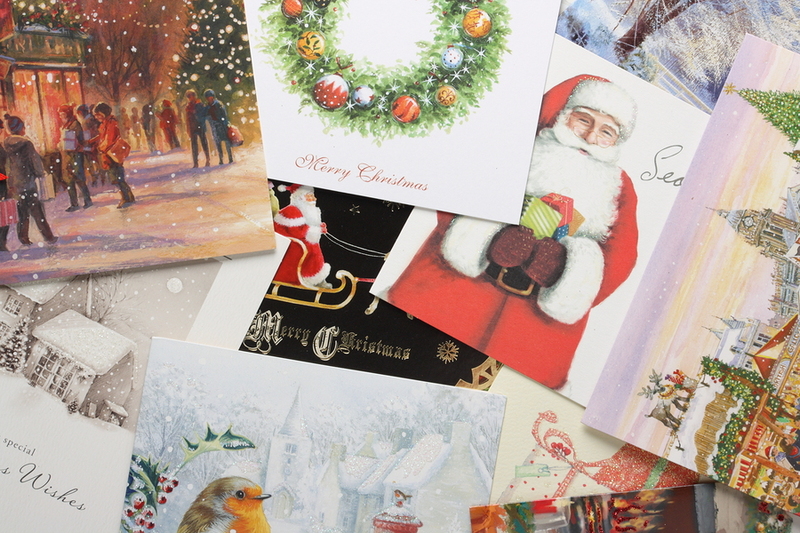 The custom of sending Christmas cards was started in the UK in 1843 by Sir Henry Cole. He was a civil servant who had helped set-up the new ‘Public Record Office’ (now called the Post Office), where he was an Assistant Keeper, and wondered how it could be used more by ordinary people. Sending Christmas cards gives us a reason to connect with old friends and family and spread Christmas cheer. But with the cost of postage and the rise of the Internet and social media, is this tradition soon to be written into the history books? The Royal Mail are marking 50 years of Royal Mail Christmas stamps with a Special issue that celebrates some of their most popular festive traditions – from decorating a Christmas tree to making a snowman. The cost of a second class stamp is now 55p. 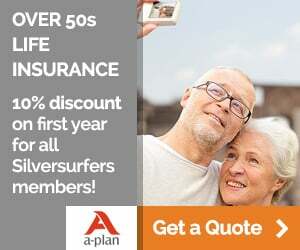 Reports suggest that the older generation, who traditionally would contact old friends each year, is being put off by postage costs. The younger generation, which does everything online, isn’t interested in sending a physical card. What are your views? Do you enjoy receiving Christmas cards? Have you always sent Christmas cards to friends and family? Is this a tradition that you will continue? Do you prefer to donate the equivalent money to charity? Or have times changed and so have your Christmas card sending habits? Just had a look at some of the posts and all of them seem to be women. See my previous post!!!! I stopped sending Christmas Cards a number of years ago. I now make a donation to the Birmingham Children's Hospital. I started to feel that if you want to wish someone happy Christmas then contact them and say it by telephone. This has worked really well for me with family members I never see. I can wish happy Christmas on Facebook to all my other friends. I honestly think that sending Christmas Cards is a very women thing to do. If you did a survey to find out how many men would do it then I think the custom would have stopped years ago. Let's stop and give to charity. I get a much nicer feeling than I ever did sending Christmas Cards. We send Xmas cards to family and close friends but quite a lot of them are donating to charity, so for the last couple of years we have cut our list and donate to cancer research, we have chosen this charity because cancer has played a big part in our lives for the last 8years and feel any contribution to help get a better life for people who struggle with it is worth it. I make all my own cards, I start in August making my Christmas cards and usually make around 75. Each card is individual, no two are the same, I love sending them to friends I haven't seen for years. I like to let family and friends know I am thinking of them. Because of the high cost of postage only close relations are receiving mine, but if I can deliver others by hand I will try......So sad. I buy a few stamps each week to spread the cost. I think it's important to keep up contact with friends and family I don't live near enough to see in person. I've made a decision only to send to close family and friends and those far away. Used to send lots to work colleagues, don't do that any more. I'm cutting back on the numbers I post, too. Too expensive! I will be sending to those that live far away, to family and friends! Will cut down this year and send to one or two close friends who live far away and close family, but that's it. Would rather give to charity. Definitely sending cards - it's a way to catch up and keep in touch with those I don't see every year and often news and letters accompany cards. Also with the cost of postage rising it is also an opportunity for organisations such as the Boy Scouts to earn money as they have a longstanding and well supported service of delivering cards in Cardiff where the public are able to buy special stamps supplied by them through various outlets and cards can be posted at half the price you pay for normal postage. Cards go to close family and a few people that I rarely see. Can't be bothered with work colleagues or people who live locally. I will be sending just a few cards this year, ( for the reasons stated below.) I'm always disappointed if there is no letter, ' catch up', included. In fact I would prefer just a letter. Feel quite claustrophobic as the windowsills, mantelpiece etc fills up. As I am now elderly, some now off my list will presume I've died!! I will be sending the saved money to charities. I do love Christmas but I stopped sending as many cards a few years ago when the price of postage stamps increased yet again. Also, I was sending cards to people I hadn't seen or been in contact all year. They are also a nuisance i.e. Dust traps and cluttering up the house. I do however send cards to family and very close friends. I make my own. So enjoy that part also. No I switched to interactive electronic cards by jacqui Lawson a few years ago. The great grand children love them and I am told gather around the computer to watch them. I send one card to my 98 year old ex motherinlaw and that's that. So liberating. It works for birthday cards, get well cards as well. The money saved is donated to Rhodesians living in Zimbabwe in poverty. I will be sending some cards by mail, the rest by hand. I do try not to send to new friends so I send less than I used to because of loss. I love sending and receiving Christmas cards...you keep in touch with people who you have not seen, with an update on your life for the past year. I will be sending cards by post. But I agree it is expensive now. Often more than the cards. Maybe bulk deals could be at a cheaper price? I will be sending Christmas cards. The list get's sorter every year now as lot of friends have passed on. I may have to get a second mortgage, the cost of postage is getting out of hand. You can buy a box of Christmas cards for the price of a couple of stamps. Bring back the penny black. As a member of the Older Generation, I will 'of course' be sending cards in the Post. But, I will reduce the number I would normally send, by putting family members cards into one envelope, instead of sending each one a card to their separate addresses. (nieces & nephews will get their cards included in their Parents card envelope). I have friends who live a good distance from me, but they live close to other friends, so I will do the same by asking one to pop the others through their letter boxes. I've been doing this myself for a while now, and its no big deal for me to go locally and deliver some, from distant family & friends who also know people close-by to me. This year, I'll be saving money myself. It has got beyond expensive now, so why not save money where I can. I don't like using other methods of sending good wishes at this time of year, it is however, important that each person knows I have taken some effort to connect with them. I have ticked the yes, - but send only a small amount, and donate to charity what I normally spend on cards and stamps. Last year we donated to Cancer Research, - £50. I don't mind at all if someone sends me a Christmas greeting via text or email. Go to your local tip after Christmas and look at the mountains of cards being recycled. I prefer to donate to charity. Yes I will because not everyone i know has computers or smart phones. I love it when the letterbox clings and you hear the post drop on the floor. It is such a pleasant surprise to find cards from friends and family in amongst the bills and junk mail. So if I can put a smile on someone's face by sending them a card then so be it. Thats a lovely thing to do. I send cards with some of the money given to charity-,makes me feel a lot better! Bah Humbug ! Another money making scam! I visit/phone people to wish them the seasons best and put my card money in the hospice collection box. Why send cards once a year when you never see or hear from that person, I stopped sending them years ago, most people only send cards because you send them anyway. Totally agree...It is a circle that difficult to break out of ! Always send them and love to receive them. Even the picture at the top of this makes me look forward to my Christmas cards! Yes, I send them but only to family and close friends and I make mine to make them more personal. l always send cards to friends and relatives abroad,and those far away whom I do not see during the year, I give the cards personally to those near, and when visiting those unable to get about. It is nice to get cards, as they add to the decorations and bring people to mind. Its a lovely tradition and I hope we always have it. I have always loved having Christmas cards especially from friends I do not hear from all year round. Christmas cards make Christmas a very special time! Yes I do send Christmas cards, not as many by post though , it can become so costly and I am sending to family and a few friends. We are going to a family Diamond wedding celebration soon and for once I shall give them their Christmas card then ,it will be December when the celebration takes place. We are both committed Christians so Christmas is special to us! Sparkles, I too am a Christian, a Jewish Christian, so a traditional Christmas is a problem for me. I've never fully been able to take on board this notion of a Dickensian Christmas. Now married into a family which keeps a traditional Christmas I do my best, but my heart is not in it, and I think they all know that. Yes, I do send a few cards, mostly e-cards. Brothers and sisters are scattered across the globe, Stan Firth's Army if you like, so it's just a means of keeping contact. I don't celebrate Xmas but if I did I wouldn't bother sending cards. They are a waste of trees even ones sold for charity end up in the recycle bin.